20 Fabriano Ingres black paper stripes (6 mm x 7 cm), forming a piano keyboard. 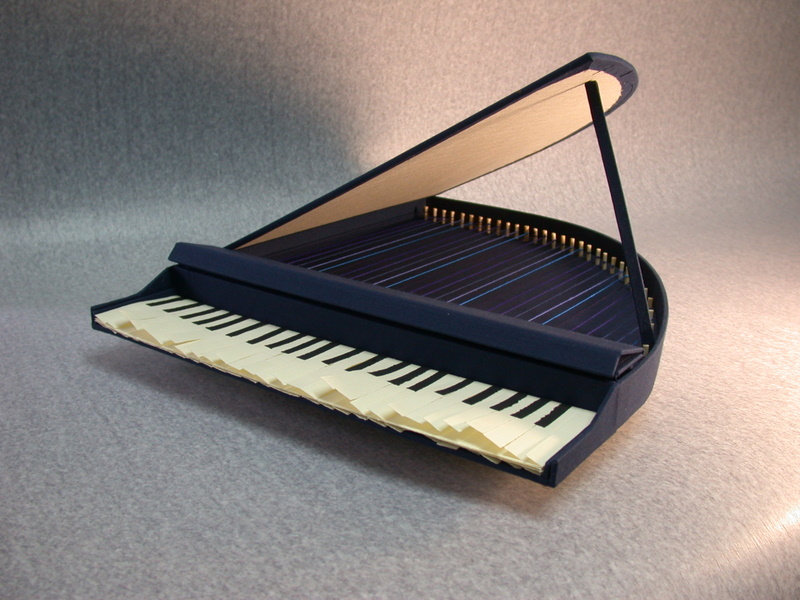 The book is encased in a blue cloth box fashioned as a grand piano. grand piano size: 39.5 cm x 32.5 cm. 30 numbered and signed copies.